Conservative donor and deputy chairman Lord Ashcroft has admitted he does not pay UK tax on earnings outside Britain. His statement ends years of questions from opponents about whether he was "non-domiciled" in the UK for tax. He said he agreed with Tory leader David Cameron's call for anyone in the Lords to be "resident and domiciled". Labour's Jack Straw accused the Tories of "concealing the truth" for 10 years. The Lib Dems said the Tories had been "bought like a banana republic". BBC political editor Nick Robinson said the 63-year-old, who is estimated to be worth £1.1bn by the Sunday Times Rich List, was one of the biggest ever donors to a political party and was at the centre of the Conservatives' election campaign. He has donated more than £4m to the party in recent years, much of which has been spent on campaigns by Tory candidates in marginal seats. He, and senior Conservative spokesmen, have refused to say what his tax status was over recent years, saying it was a private matter. In a statement released on Monday, he said he had chosen to speak out because "while I value my privacy, I do not want my affairs to distract from the general election campaign". He said that while his "precise tax status" was that of a "non-dom", paying tax in the UK was not, as some critics have suggested, a condition of his being granted a peerage in 2000. "As for the future, while the non-dom status will continue for many people in business or public life, David Cameron has said that anyone sitting in the legislature - Lords or Commons - must be treated as resident and domiciled in the UK for tax purposes," he said. "I agree with this change and expect to be sitting in the House of Lords for many years to come." It suggests he will change his tax status if the law changes. 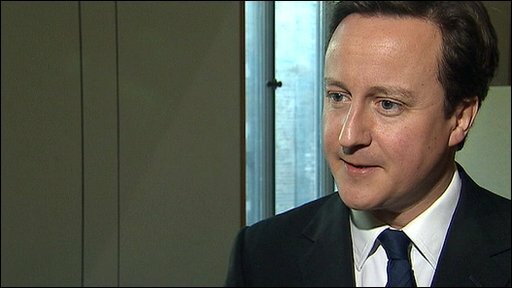 Tory leader Mr Cameron said he was "pleased" that Lord Ashcroft had decided to clarify his position. A "non-dom" is someone who is resident in the UK but not domiciled in the UK for tax purposes - although they will pay some UK tax, they will not be fully taxed in the UK on their interests overseas. It had been suggested that when William Hague proposed him for a peerage in 2000 the then Michael Ashcroft had given assurances that he would be resident in Britain for tax purposes. But in his statement Lord Ashcroft said his undertaking was to "take up permanent residence in the UK again" by the end of that year and to resign as Belize's permanent representative to the UN. He said he had fulfilled both those conditions before taking up his peerage and had declared all his UK income to HM Revenue "throughout the last 10 years". Mr Cameron had been under considerable pressure to reveal Lord Ashcroft's tax status, but had always insisted it was a private matter for the peer. Welcoming Lord Ashcroft's statement on Monday, a Conservative Party spokesman said: "It is clear, therefore, that Lord Ashcroft has the same status as several Labour donors including Lord Paul - recently appointed to the Privy Council on the recommendation of Gordon Brown's government." Home Secretary Alan Johnson told the BBC the news was "incredible" and "a bit of a bombshell". Referring to a speech on Sunday in which Mr Cameron said it was his "patriotic duty" to beat Gordon Brown at the next election, Mr Johnson said the Tories were being funded by "somebody who has been basically unpatriotic". Lord Paul told the BBC he had always admitted being a non-dom, and any donations to Labour had come from his British company, not from him personally. Asked whether he would consider changing his tax status as Lord Ashcroft has indicated he will do, Lord Paul said: "Let's wait for the law to pass. It is not a question right now." The Liberal Democrats said the Conservative Party had been "bought like a banana republic". Leader Nick Clegg added: "I think if you are seeking to influence the outcome of the next general election... then it is wholly wrong that you basically seek to pay taxes only partially in this country." But the Lib Dems have confirmed Tory claims that they have taken donations from three "non-doms" - Bhanu, Sudhir and Dhruv Choudhrie. The party said they had "made donations to the party through their companies, Alpha Healthcare and C&C Business Solutions, which are British trading companies, as well as individually". An amendment to the Constitutional Reform and Governance Bill currently going through Parliament, which has all-party backing, will require all MPs and peers to be resident, ordinarily resident and domiciled in the UK for tax purposes. Lord Ashcroft was initially rejected for a peerage in 1999 by the Political Honours Scrutiny Committee on the grounds that he spent most of his time abroad in Belize and Florida and conducted almost all of his financial matters overseas. His company Bearwood Corporate Services Limited has been the largest single contributor to the Tories since 2005, although his millions make up less than 5% of their total donations. For a company to make a donation, it must be trading in the UK and in February 2009, the Electoral Commission launched a formal investigation to determine whether this was the case. The results of that inquiry have not yet been made public. Information Commissioner Christopher Graham has called for the full details of Lord Ashcroft's status to be made public and criticised "evasive and obfuscatory" replies given by senior politicians on the subject.